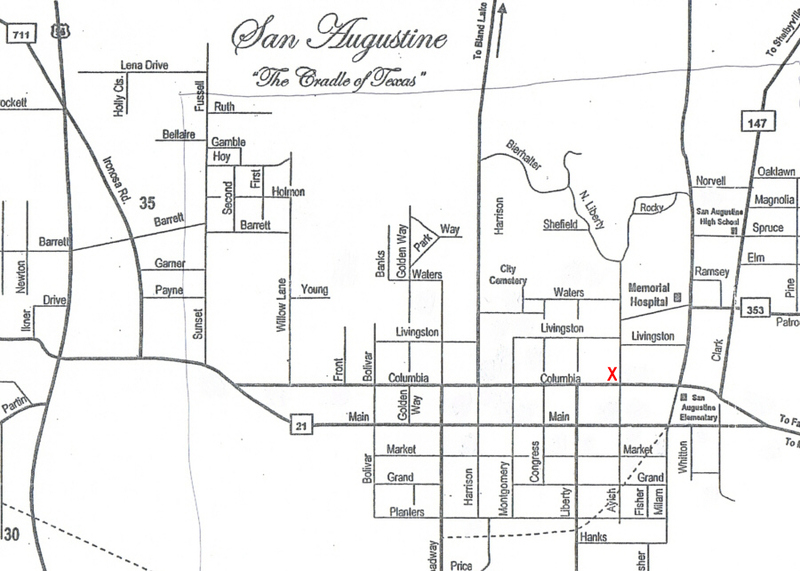 The red X on the map below marks the location of the library. One block North of Hwy. 21 on the NW corner of Columbia St. and Ayish St.